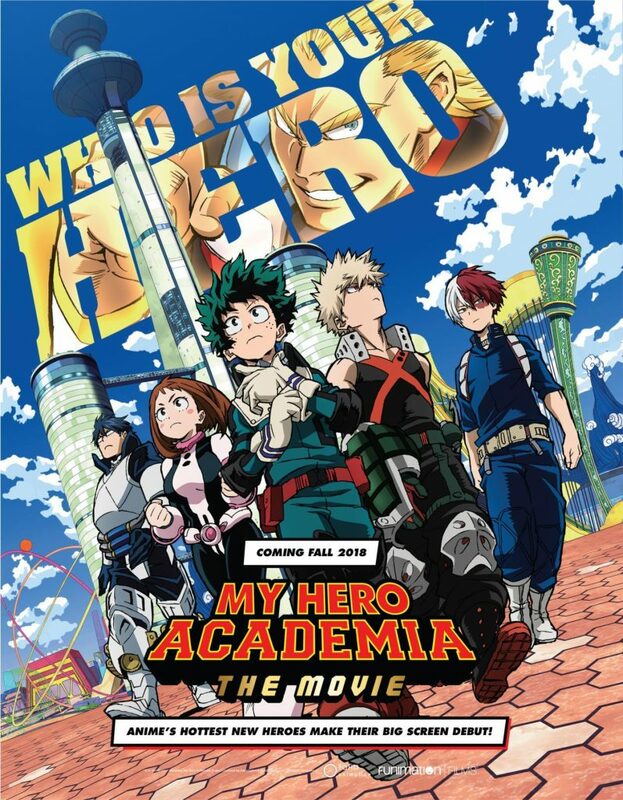 My Hero Academia: Two Heroes is the first film to occur in the My Hero Academia franchise! For all its global success, it’s been a long time coming. With Studio BONES behind the wheel, there’s a quality expectation that can’t let you down! Two Heroes premiered at Anime Expo in July ahead of its Japanese release, and now it’s making it’s making it’s way to a theater near you! Two Heroes benefits from being stand-alone and can be viewed without spoiling anything in the series. For the parents that are dragged to the theater, there is a brief re-cap of the mechanics of the world. However, the downside of 95% of stand-alone movies is that they don’t bare any weight on the overarching plot of the series. My Hero Academia: Two Heroes is no exception, although there are plenty of goodies to appease any fan. Creator Kohei Horikoshi has given the film his blessing by stating the events take place some time before the battle with All for One. All Might’s early hero days are a general mystery, to this movie was a breath of needed air in the fandom. Seeing him have a dear friend that supported him through the years was really touching. Dave designed All Might’s hero costumes and gear! The final battle is definitely the highlight of film, giving it the title Two Heroes. It’s active, engaging, and tear-jerking worthy! It’s something you’d want to see in the series, but are sadly denied due to All Might’s degenerating powers and passing All for One on to Deku. At the end of the battle when Dave puts two and two together, it nicely packs the overall point of the series of Deku becoming All Might’s successor. Studio BONES puts out a lot of quality work, especially in the theatrical films. No matter how objectively bad the material is, the animation is always the consolation prize. Two Heroes struggled with consistency, saving the best frames for the young All Might scenes and the final battle, which admittedly, are the most important parts. The villain is so forgettable, I can’t even remember his name. Hired by Dave to assist in his elaborate plan to help restore All Might’s Quirk, it’s revealed he was working under All for One the entire time! Since we don’t see him with the League of Villains in the series, it’s a weak story. While most of the cast gets to make a cameo, those that have more than a few seconds screen time are mere shadows of themselves. Iida shouts and gives orders. Bakugo is yells more than usual. Uraraka gets jealous of the new girl. Mineta is a giant pervert with wingman Kaminari. Todoroki saves the day in his stoic flair. I really liked the new girl Melissa, so it was nice for there to be a focus on her and her father and not on the original cast, but opportunities of good characterizations were wasted. Unless you want to count some shameless shipping fodder. We had the opportunity to see the premier with the dub cast and crew at our favorite theater in Dallas. The series is beloved by them just as much as by the fans. My Hero Academia: Two Heroes is in theaters September 25th – October 2nd!